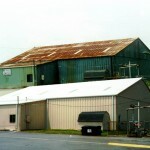 Welcome to questions and answers page of fix all roof, here you can find the answers to most frequently asked question. Are there differences between the FixAllRoof’s.com products and others? Answer: Yes, there are many less quality coatings on the market made of plasticized paint resin (PVA) and not a real elastomeric resin. It has good initial elongation but quickly drops to almost nothing after a year. A true elastomeric will lose some of its elasticity over time but it will not turn brittle and crack. We only carry products that have given a top rating by our larger contractors. How clean should the roof be before applying the product? Answer: Surfaces not to be coated shall be protected during the application of the system. If protection is not feasible, surfaces shall be restored to their proper condition by cleaning, repairing or replacing. In conjunction with the final inspection, all debris, containers, materials and equipment are to be properly removed from the job site. Grounds are to be cleaned undamaged and acceptable to the owner. Dispose of all containers in accordance with state and local environmental regulations. Reflectivity of coatings may be reduced if roof surface is not cleaned regularly. What is the difference between the water based and solvent based products? Answer: Water-based roof coatings provide excellent performance under various weather conditions. They are easy to apply, easy to clean up and environmentally friendly. 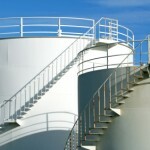 Solvent-based coatings are quick drying and have greater resistance to ponding water. 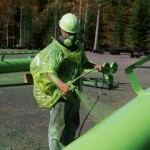 Consider solvent-based coatings when outside temperatures are below 55 degrees. We have a large commercial building and would like to spray the material, What equipment do we need? Answer: An airless sprayer pump capable of delivering 1,800-2,500 psi material output pressure should be sufficient to spray a variety of coatings. A siphon hose on the material inlet typically is used to draw material directly from the 5-gallon pail or 55-gallon drum. A 517 tip is usually recommended for roof primers and 631 for elastomeric coatings. Tips are reversible for easy cleaning and clearing of occasional tip clogs. We have a corrugated roof how much extra material should we account for? 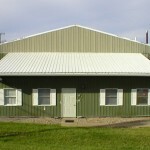 Answer: For metal roofs, add 15% to 25% to the area for pitches and ribs. How do I know if I have a built-up roof? What is the advantage of using a primer? Answer: Primers are versatile and can be used on a wide range of substrates. They also have excellent weathering characteristics and provide excellent adhesion and corrosion resistance. Most importantly they are easy to apply are non-toxic and VOC compliant water based coatings.